Appsessment's Timeline pages now comes with a brand new look and design! We completely redesigned from the ground up, our Timeline, Photos and Videos pages bringing you a whole new user interactivity and experience. When we say brand new look, we mean literally everything! We have redesigned almost 90% of these pages on Appsessment including every single element in Timeline, Photo Gallery and Video Gallery. The Appsessment Mobile App just got better. When Appsessment was released last year, it was primarily created as a web app and then we released our Mobile App after a few months. In version 2, we revisited our Mobile App design on all pages and decided to improve it by many folds. 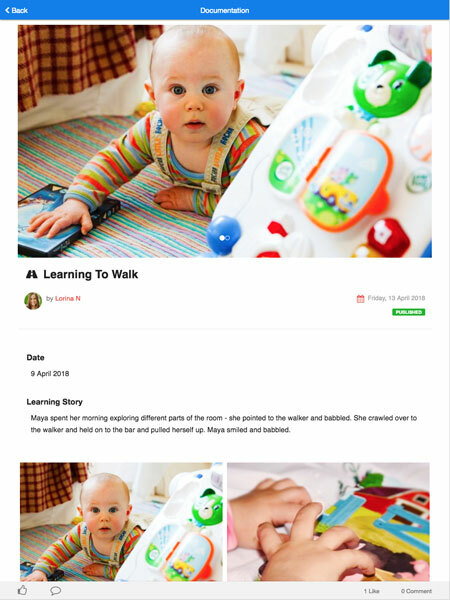 We rewrote a lot of interactivity in our mobile app and the new layout will definitely be more engaging, attractive and interactive for both educators and parents who are using our Appsessment Mobile App. We also refactored our Android App that reduces the App download size to half when compared to the previous versions. To our surprise, a lot of parents had requested for a feature that allows them to download Photos and Videos as well as the ability to zoom-in on photos. 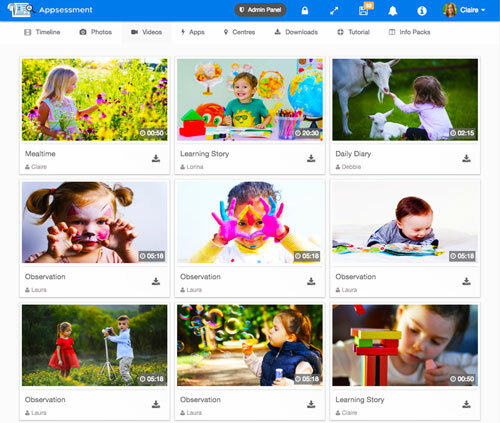 With these 2 new features added, users are now able to download photos and videos and zoom-in on photos from the Photo Gallery and Video Gallery pages. We have also added an App Setting to the Centre App's Admin Panel so the centre can decide if they want to allow downloading of photos and videos to their educators and parents. While viewing the Documentation details when clicking the updates from your Timeline, you can now like and comment on the update directly from that page instead of closing it and going back to the Timeline page to post a comment or like the update. Apart from this, we have also added the Like feature for educators as well. 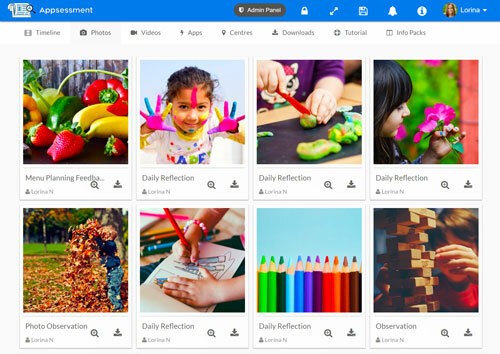 This improves the usability and interactivity for both parents and educators. One of the core structure of Appsessment is its very unique feature where it separates the Timeline pages (frontend) and the Centre's Admin Panel (the backend). In version 2.0, we have enhanced these 2 areas that will give users a more transition experience when switching between the frontend and the centre's backend. This is one of the key areas where we have improvised on Appsessment 2.0. 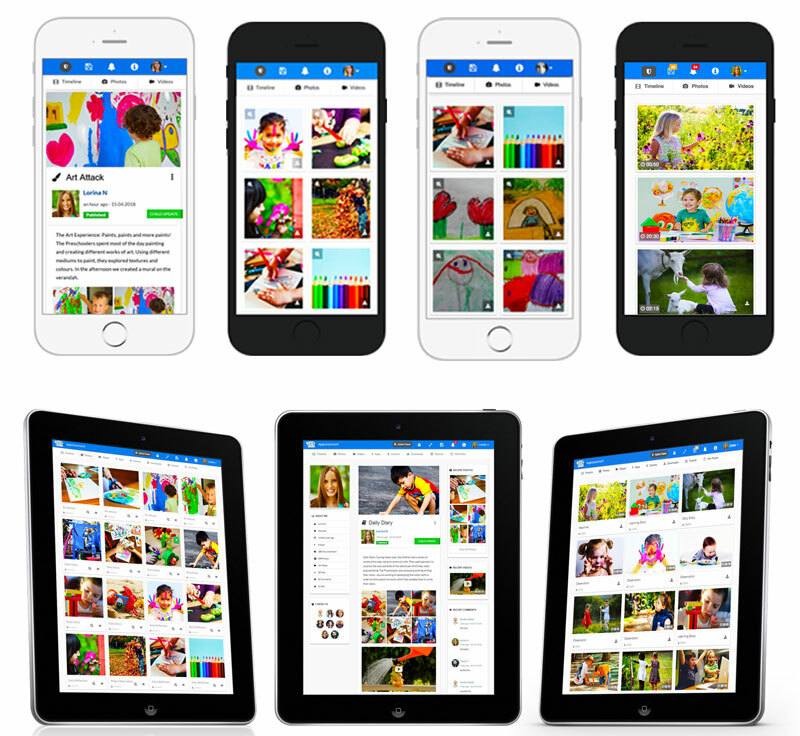 While adding a ton of features, we have managed to improve the performance of the App especially in resource-intensive pages like Documentation listing, Child profile, Parent Profile, Photo Gallery, Video Gallery and Photo / Video Uploads. We always give a lot of importance to our tutorials to ensure we have a comprehensive documentation on Appsessment that assists our educators in getting started in Appsessment as well as understanding all of its features. We have updated our tutorial chapters so you can learn and understand all the features that Appsessment has to offer. We have also updated our Info Packs (such as welcome pack for parents, display posters, etc) to reflect the new changes in Appsessment 2.0. The above is just the highlights of some of the main changes in this version. Apart from this, we have added so many amazing changes, edits, fixes and enhancements to our App that you have to see it to believe it. For those who have been with us since the launch of Appsessment last year, we are so grateful for your continuous support till this day. Without you, Appsessment would not have evolved to this version today. 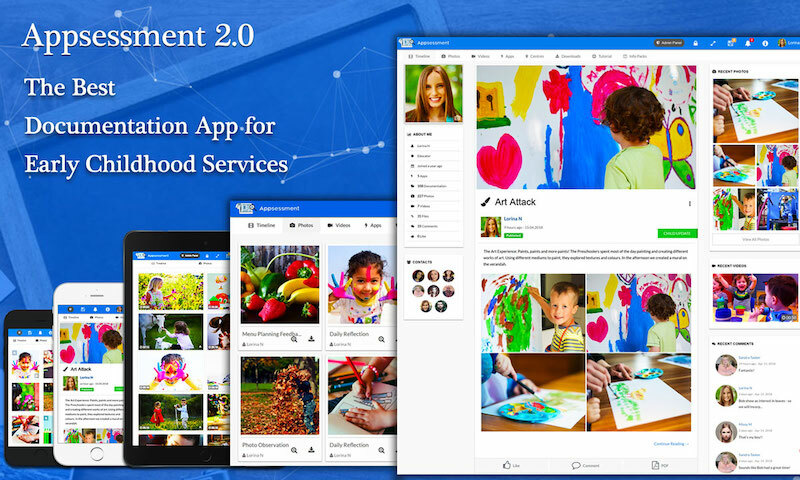 We sincerely hope you will love Appsessment 2.0 and we feel this release will totally amaze you. Log in to your account today and check it out. If you are using our Mobile App, go to App Store or Play Store and update your Appsessment App to version 2.0 today. If you are yet to try Appsessment, you have to give Appsessment a trial today. You have 14 days money back guarantee period so you can try our App risk-free.